Meditation is generally a safe practice in which an individual trains the mind to an altered state of consciousness. The exercise provides many health benefits that can help enhance the body, mind, and spirit. Meditation is generally a safe practice in which an individual trains the mind to an altered state of consciousness. Meditation comprises of deliberate holding attention on a subject, object, or process. Some people use meditation to clear their minds from daily stress. The exercise provides many health benefits that can help enhance the body, mind, and spirit. For individuals who are strained by work or life pressure, meditation can help them calm down and prevent stress from accumulating. Researchers from the University of California, Irvine, showed that individuals who participated in an 8-week stress reduction program to train in mindfulness meditation experienced promising results. The selected participants did not have any psychiatric problems. The participants of the study experienced reductions in overall mental stress, increased feeling of control in their lives, and high scores on a measurement of spiritual experiences. The investigators concluded that meditation can prevent potential relapse in affective disorders such as depression, bipolar disorder, and anxiety disorder. Other laboratories explored the effects of meditation on some affective disorders. Dr. Saki Santorelli and colleagues from the University of Massachusetts Medical School found that patients with anxiety experienced drastically reduced symptoms of panic attacks after ten-class sessions in three months of formal and informal meditation techniques. The Tom Baker Cancer Center published an experiment that assessed the short-term and long-term effects of participation in a stress reduction program using meditation in cancer outpatients. The investigators screened the patients for stress levels and mood. The programs were found to be highly effective in both male and female patients with a broad variation in cancer diagnoses, stages of illness, educational background, and different age groups. Meditation can help improve the quality of life on a physical level as well. A randomized controlled trial experiment, published in the American Journal of Hypertension, investigated the effects of a Transcendental Meditation program on psychological distress in young adults. The researchers found that the meditation program helped patients experience decreased blood pressure, reduced psychological distress, and increased coping in young adults. Studies have shown that meditation may cause physical changes to the structure of the brain. A 2012 paper showed that meditation can affect activity in a part of the brain involved in processing emotions, called the amygdala. Various forms of meditation can affect the amygdala differently, even when the individual is not meditating. With daily practice, meditation can heal the body, mind, and soul. People who meditate have better moods, less anxiety, and better reaction to stress. In addition, regular meditating can help improve blood pressure, heart health, and women’s health. Set a specific time and place for mindfulness and self-reflection each day, as the benefits it can yield can have a significant impact on both your physical and mental health. Astin, J. A. (1997). Stress reduction through mindfulness meditation. Psychotherapy and psychosomatics, 66(2), 97-106. Carlson, L. E., Ursuliak, Z., Goodey, E., Angen, M., & Speca, M. (2001). The effects of a mindfulness meditation-based stress reduction program on mood and symptoms of stress in cancer outpatients: 6-month follow-up. Supportive care in Cancer, 9(2), 112-123. Desbordes, G., Negi, L. T., Pace, T. W., Wallace, B. A., Raison, C. L., & Schwartz, E. L. (2012). Effects of mindful-attention and compassion meditation training on amygdala response to emotional stimuli in an ordinary, non-meditative state. Frontiers in human neuroscience, 6. Innes, K. E., Selfe, T. K., & Vishnu, A. (2010). Mind-body therapies for menopausal symptoms: a systematic review. Maturitas, 66(2), 135-149. Miller, J. J., Fletcher, K., & Kabat-Zinn, J. (1995). Three-year follow-up and clinical implications of a mindfulness meditation-based stress reduction intervention in the treatment of anxiety disorders. General hospital psychiatry,17(3), 192-200. Nidich, S. I., Rainforth, M. V., Haaga, D. A., Hagelin, J., Salerno, J. W., Travis, F., ... & Schneider, R. H. (2009). A randomized controlled trial on effects of the Transcendental Meditation program on blood pressure, psychological distress, and coping in young adults. American journal of hypertension, 22(12), 1326-1331. Horowitz, S. (2010). Health benefits of meditation: What the newest research shows. Alternative and Complementary Therapies, 16(4), 223-228. Fraser, A. (Ed.). (2013). The Healing Power of Meditation: Leading Experts on Buddhism, Psychology, and Medicine Explore the Health Benefits of Contemplative Practice. Shambhala Publications. Shetkar, R. M., Hankey, A., & Nagendra, H. R. REASON FOR HEALTH BENEFITS OF DEEP MEDITATION: SELF ORGANIZED CRITICALITY RESTORES REGULATION TO OPTIMAL. Monk-Turner, E. (2003). 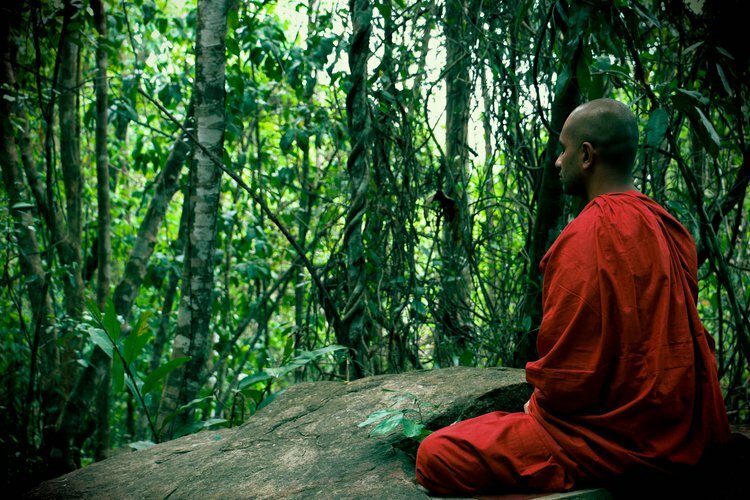 The benefits of meditation: experimental findings. The Social Science Journal, 40(3), 465-470. Fontana, D., & Slack, I. (2012). Teaching meditation to children: the practical guide to the use and benefits of meditation techniques. Watkins Media Limited.